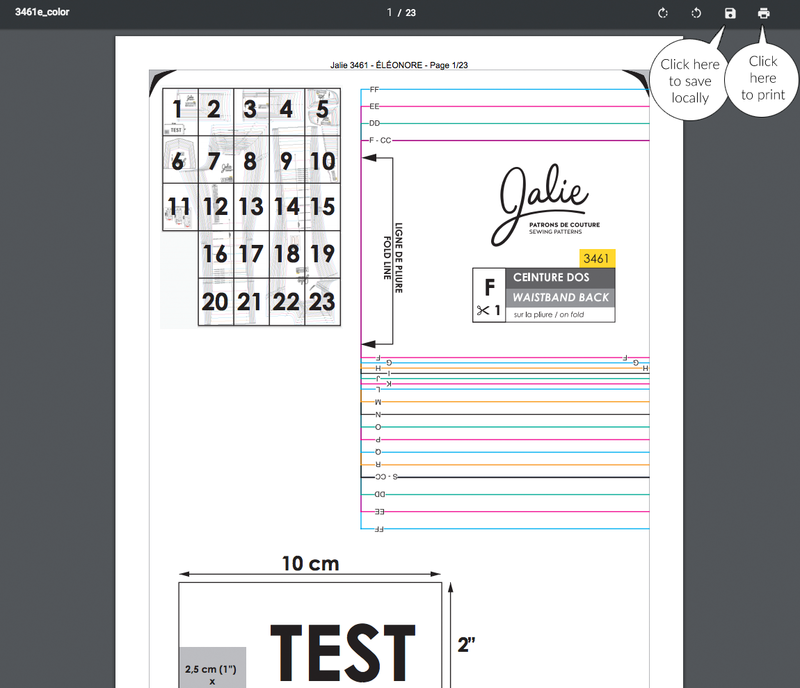 You purchased a PDF pattern on the Jalie website and are not sure how to download and print it? We are here to help! HOW TO I GET TO THE DOWNLOAD PAGE? 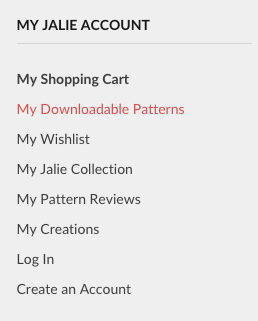 Click "My Downloadable Pattern" under the "My Account" tab or the link at the very bottom of the page to see the list of PDF Patterns linked to your account. You have to be logged in to see the drop-down menu. In your order confirmation (you receive the email within seconds after placing your order), you will see the pattern you purchased with a link next to the file name (in blue). Those links will take you to the download page. You may have to enter your login information if you have not been on the Jalie website for a while. Your credentials are the email and password you used at checkout. I AM ON THE DOWNLOAD PAGE. WHAT DO I DO NOW? 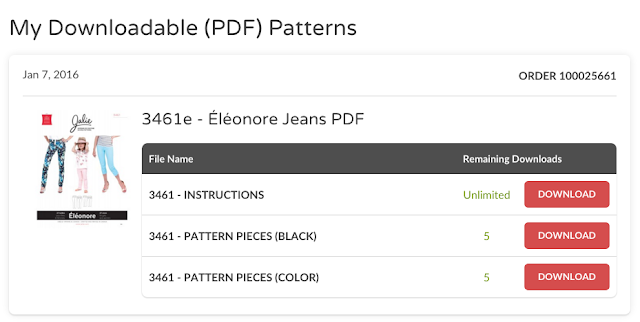 The My Downloadable Patterns is where you will find all PDF purchases, grouped by order and listed by date (the most recent purchases first). You can see how many downloads you have left for each file. The buttons may be slightly different on your computer / browser. You might have to go through the File menu to save. Our Sample Test page in Chrome. It is tempting to print from there. DON'T :) If it opens in your browser, save it locally. Click the download icon and open the file in Acrobat. With Acrobat, printing is less tricky and you can use the layer option when available (print your size only). Choose a location you will easily find afterwards. Go to that folder, open the PDF with Acrobat Reader and then you are ready to print and assemble your PDF pattern. 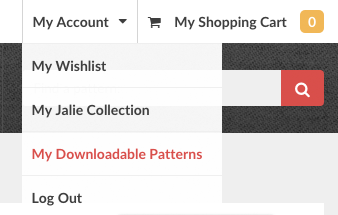 Select "save target as..." or "save linked file as..."
Quick and easy way to save the patterns to your computer. After saving, locate the files, open and print as many times as needed.